The Sea Otter Festival in the USA often features a handful of bikes for the next season, most of them sporting minor changes such as new paint jobs. But in this case, Masi were showing off a completely new product – the 2016 Masi Giramondo – a steel touring bike for us to admire. 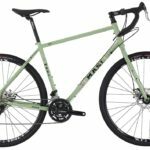 The Masi Giramondo touring bike. 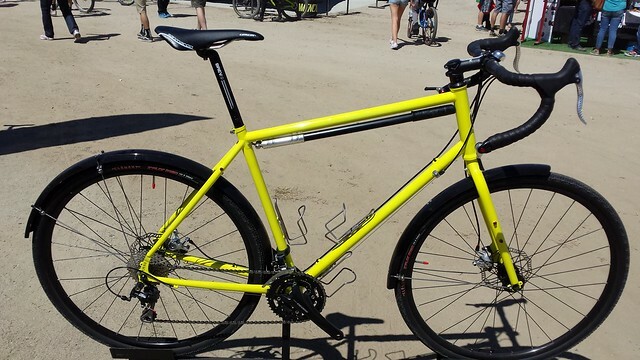 Like the 2016 Marin Four Corners, 4130 steel tubing is used for both the frame and fork. The top and down tubes are double butted and the seat tube is triple butted. 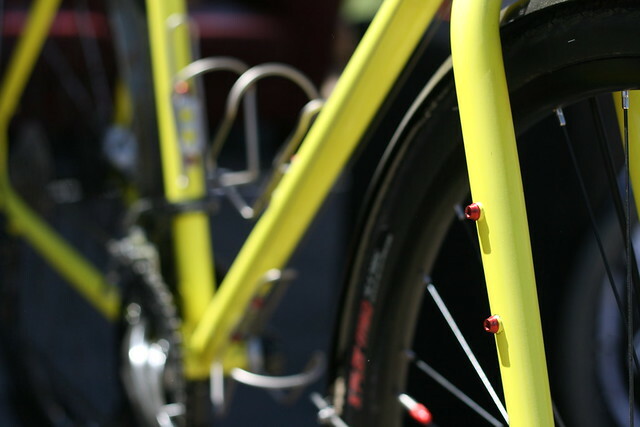 Water carrying will never be a problem with provision for three bidon mounts on the frame, and two on either side of the fork. 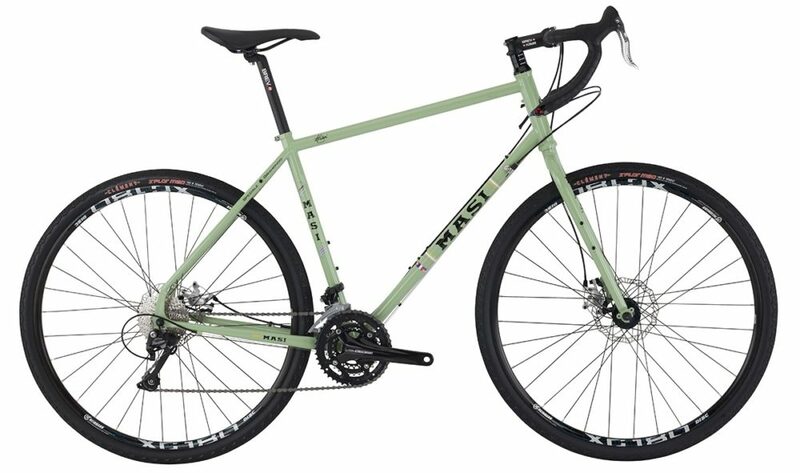 Akin to the Surly LHT, there is even a spoke holder built into the frame. A Shimano Deore drivetrain is cost effective and reliable, with a decent range from smallest to largest gear. Microshift barend shifters keep the shifting simple – many bike travellers will appreciate that. 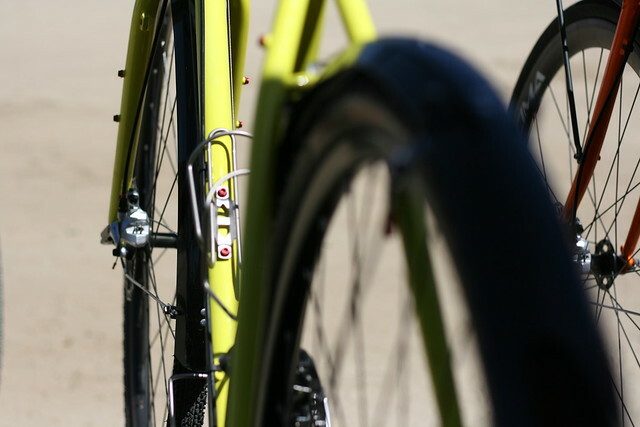 You’re going to be able to fit 29×1.9″ tyres in the bike without fenders, and Masi even suggest using 650b wheels in the bike if you’re that way inclined (although your BB will be getting low). Unfortunately, the fluro paint on this bike will not make production, instead the bike will be sprayed in the retro green you see on the original image. The good news is that this bike will be available in the 3rd quarter of 2015 for only US $1089.